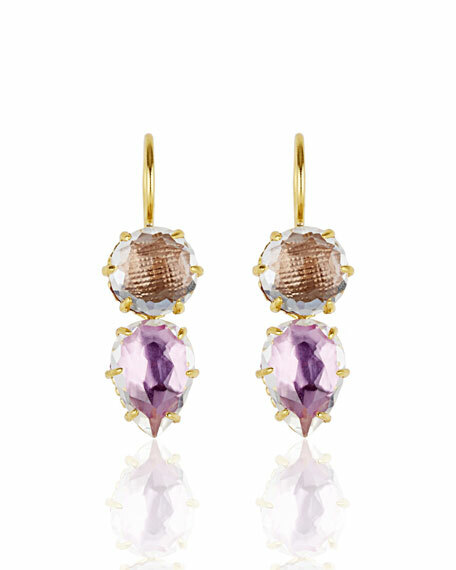 Caterina round pear earrings by Larkspur & Hawk. Round white quartz with fawn foil drops. White quartz with rose foil pear drops. For in-store inquiries, use sku #2661831.